What? The ever-popular outdoor film screenings are back for another run. The fantastic (and fantastically popular) free open air cinema festival Cinéma en Plein Air returns to Parc de La Villette once again this summer. It’s just one of the events that brings the buzz to this increasingly hip corner of northeast Paris. The screening schedule mixes classic films from great directors and some of the best releases of recent years. 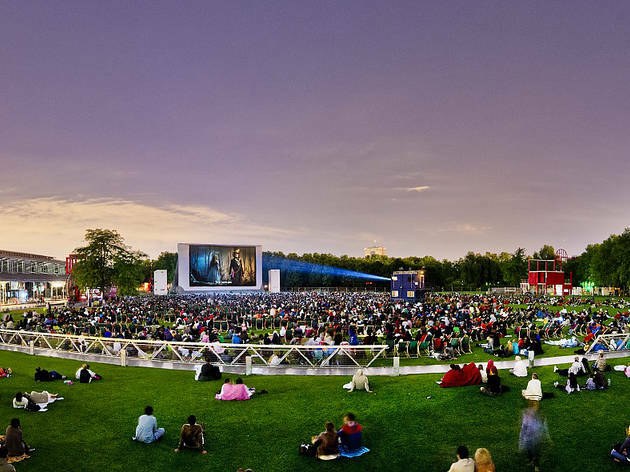 This is THE Paris summer film festival event, perfect for sipping a glass of wine, ploughing into your picnic and striking a pose in front of masterpieces on the big screen. All films are screened as soon as it is dark enough, in their original language with French subtitles. Deckchairs are available from 7.30pm, at €7 each or five for €20 (free with a La Villette membership card). In hommage to France's love for gastronomy, this year's film theme is 'In the kitchen'. 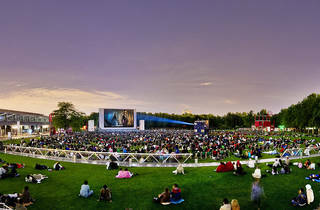 La Villette have hinted at some of the open air films could include the following: Yasujirô Ozu’s Le Goût du riz au thé vert, La Graine et le mulet by Abdellatif Kechiche, Le Festin de Babette by Gabriel Axel, and Ratatouille by Brad Bird. The full selection for 2017's event are released in May and we'll be listing them all, so check back soon! This was the full schedule for Cinéma en Plein Air à La Villette 2017.